The Wiegands: cellphone pics. this week's. sweet !! the blue swing made me sad. 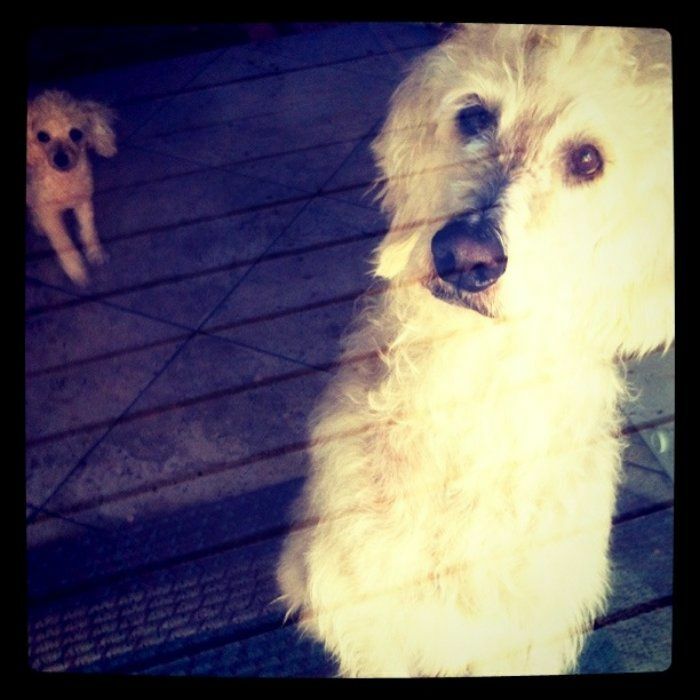 my hubby accidently took Judes to the dump..ok..he is prob too big now but I was still upset. 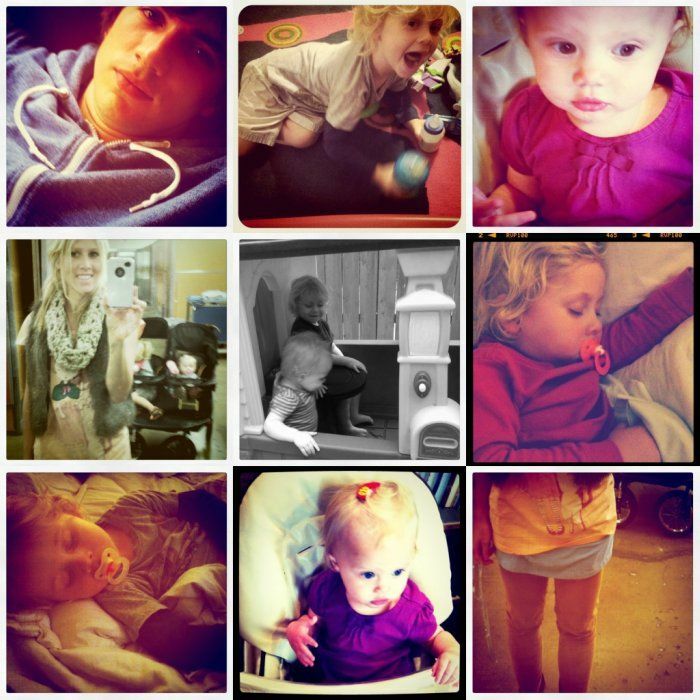 You have the most adorable family!!! Love it! Love the family pics & the pups & the lasagna!! :) PErfect!! This post is full of so much love and happiness! Even the puppies! The lasagna looks great! Great work. And the pictures are too cute. My fave is the one in the house! Love the pictures, such a cute family!! Mmmmm lasagna!! I know I say this everytime, but you seriously have the most beautiful kids! your art work is beautiful and i find it very inspiring! how many ways can i find to say I LOVE YOU. I love your heart, your passion, your love for God....And okay, your taste in fashion. Things may seem hard sometimes, and we don't always understand WHY he allows certain things....but He is a good God....and he definitely has you in the palm of his hands. all of these pictures are just so amazing! they really show just how much your children mean to you. they are both so precious! 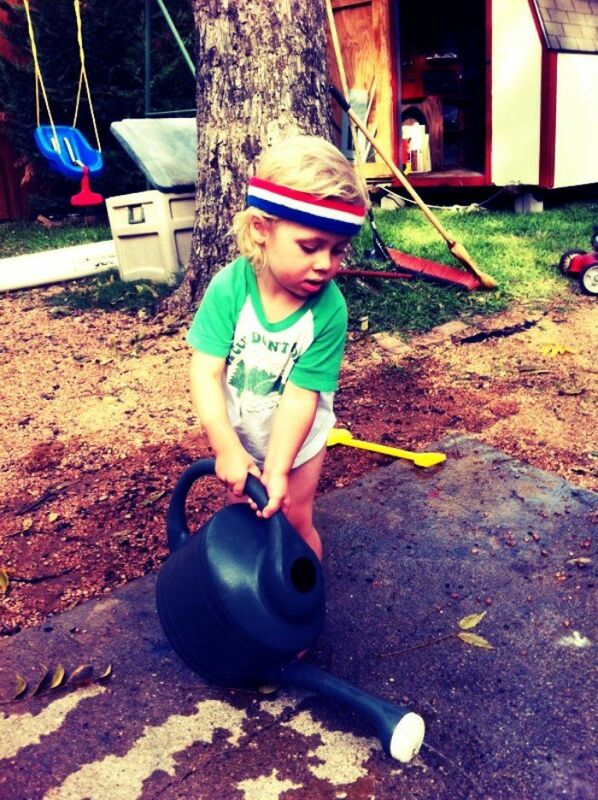 I love your little guy with the watering can all stylin' and sporting his headband...too cute. 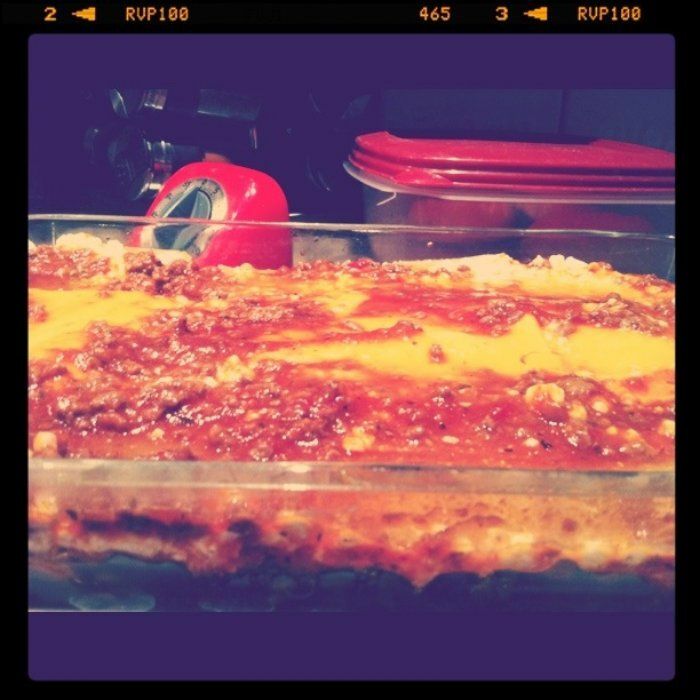 Your lasagna looks delish, I'm sure the fam enjoyed it! I just have to tell you how incredibly happy I am that I found your blog via The Daybook. It is truly a blessing to be able to read your story, and your creativity is very inspiring too. Such a blessing. I love picture blogs! Such a sweet family. Love the pics!